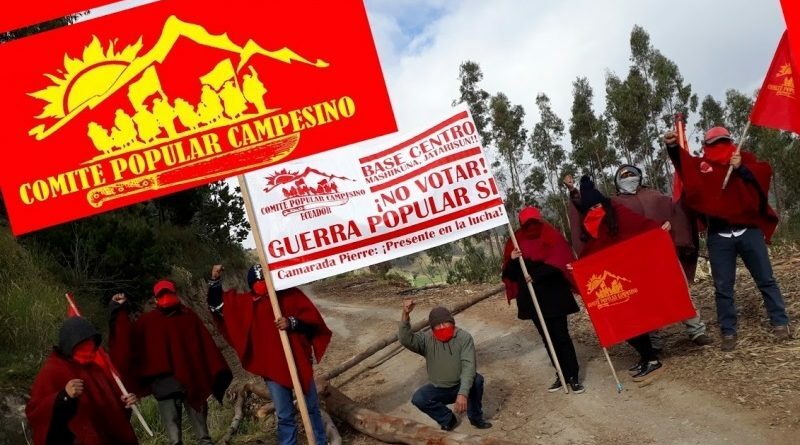 The People’s Struggle Defense Front (FDLP, Spanish acronym) has applied an active boycott against the referendum called by Lenín Moreno, President of the semi-colonial government. The boycott campaign, called “Comrade Pierre” (in honor of the late French Maoist leader) was attended by peasants. The peasants who attended the campaign were organized by the North and Center bases of the Popular Peasant Committee. 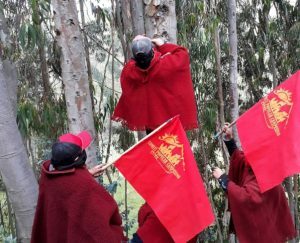 In addition, according to the FDLP, three boxes of leaflets were distributed in Quito, the capital of the country, by Red Guards. 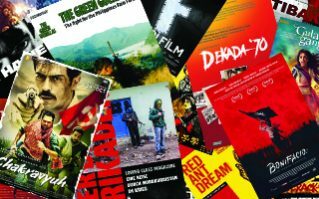 Altogether, several flagging actions (hanging flags in public places) were carried out, blocking roads, leafleting and posting posters, all under the slogan of “Boycott the Referendum!”. 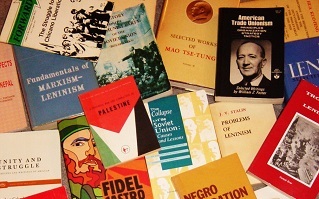 In a note published on the internet they stated; “Faithful to Marxism-Leninism-Maoism Gonzalo Thought, and the need to prepare the conditions to unleash the people’s war in the country, the conscious elements of the class, the people and the poor peasantry called on the masses to boycott the referendum“. The referendum proposed to discuss some points, such as: ineligibility for tose convicted of corruption, term limits of no more than one reelection, prohibition of metal mining in protected areas, and repeal of organic laws to avoid speculation on land value, among others. The winner was “yes” with 64% of votes. As the Ecuadorian revolutionaries pointed out, the result strengthens the big comprador bourgeoisie and its groups in power in the political dispute against the other fraction, bureaucracy. The biggest defeated politician in the referendum is the reactionary Rafael Correa, former President of the country and disgraced by the investigations on corruption on his government.